The telephone line here is always open, meaning that you can give us a call at any time in case of an emergency. Finding your keys locked in your car is something that seemingly happens with the worst possible timing. Locksmith Grimsby of course understands that this can be a very stressful situation, especially if you are in a rush somewhere, but there is no need to panic. 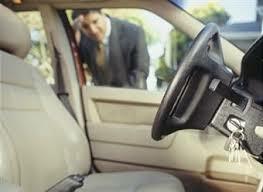 All you need to do is pick up the phone to the locksmith Grimsby team, and we’ll be with you in no time. The common burglary technique snapping has become a wide spread issue and security threat around the UK as a weakness in the locking structure had been found and exploited. The locksmith Grimsby team would like to help make sure you are aware of this risk and help make sure that you have protection against this type of attack. Snapping can be used on the vast majority of UK standard door locks, which makes it vital to make sure you have an anti snap locked installed. You can book in with your locksmith Grimsby to get your anti snap locks installed today, and eliminate the risk of falling victim to this commonly used burglary technique.